Having a latest mobile in hand is like having a style in your hand. Nowadays is like if you do not have a latest mobile then it seems totally off from the world and sometimes seems that we are behind in some ways. Day by day there are so many new mobiles are coming in the market with latest technology having many features as in Samsung galaxy S3. 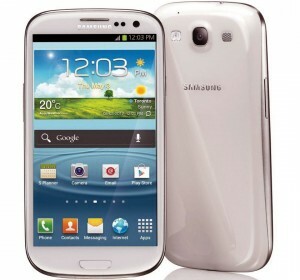 The new Samsung galaxy s3 is latest mobile having latest technology and features. It has multimedia features and most amazing is its pop-up play feature. By this feature you are able to play two videos simultaneously together and can do multiple works. The mobile has been ranked and got number 1st rank in the all mobile category whether taking it performance, durability or in features. Everything is best in this mobile. Samsung galaxy S 3 has latest Qualcomm Snapdragon S4 processor, 2GB of RAM and mali 400-mp GPU in it. It has 16 or 32 GB of storage with miro sd card slot with removable battery. It has features like multi touch capacitive touchscreen, 3 push button, aGPS, Glonass, Barometer, Gyroscope, Accelerometer and Digital compass. It has back 8.O megapixel camera and 1.9 megapixel front camera with HD video recording. So it has all the latest features one wants in one mobile and looking for. So if you want then grab one. It is really amazing and awesome mobile.